I have found many ideas and resources for middle school teachers. 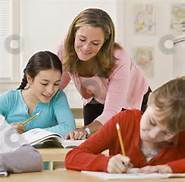 These ideas would be helpful for teachers of advanced or gifted and talented upper elementary students. My middle school teacher friends from North Shore School District 112 once asked me where they could find ideas for large group mini-lessons, guided groups, or math stations. Well, this is just for you. That is right. Just for middle school. 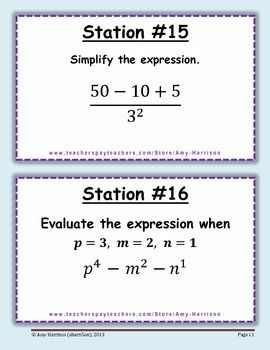 I have been gleaning Pinterest for ideas for 6th, 7th, and 8th grade math ideas. It even includes a couple of high school projects that advanced 8th graders could do. These middle school math ideas will help build math confidence in your students. They also fit in the Balanced Guided Math framework. I will keep adding to the file as I find more ideas on Pinterest. The link leads you to my business Facebook page, Guided Math with Angela Bauer. Like the page so you will automatically receive the new ideas when they are added. Click on the red capital P. It leads to my Pinterest boards. Scroll down to the “Middle School Only” board. 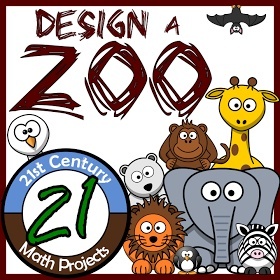 Middle School Math stations ideas are available.